By the middle of 1976, David Bowie's cocaine addiction had gotten so bad he was a physical, emotional, financial, and mental wreck, and had begun to fear for both his life and sanity. He knew he had to get straight, fast, and to do so, he had to leave his home of the last few years, Los Angeles, or as he called it in the day, the "cocaine capitol of the world." So he moved first to Switzerland, became fascinated with the classic fine arts and literature of the region, then at some point was joined by his great friend Iggy Pop, and the two gradually drifted to the Schonenberg district of Berlin, couch surfing at the home of Tangerine Dream's Edgar Froese for a while before ultimately sharing an apartment of their own nearby. As Bowie tried to kick his habit, Froese introduced he and Pop to the many emerging krautrock and electronic acts of the Berlin scene - Kraftwerk, Can, Neu, Faust, Cluster - and Bowie and Iggy became obsessed with their sounds, as well as that of a British artist Bowie had just met the year before, electronic pop/ambient pioneer Brian Eno. Bowie convinced Eno and producer Tony Visconti to join he and Pop in Berlin, and over the twelve months of 1977, the three artists would collaborate extensively and produce six albums, Bowie's Low and Heroes, Iggy's The Idiot and Lust For Life, and Eno's Before And After Science and his ambient collaboration with Cluster, simply titled Cluster & Eno, that along with Bowie's third collaboration with Eno in 1979, Lodger, would become the cornerstone albums of the famed Berlin era. And while not all of these albums were recorded in Berlin (in truth only Low and The Idiot were complete Berlin productions, and Eno had started amassing a large number of the over two hundred songs he considered for Science back in 1975), all three were inspired by the new sounds emerging from the German scene, and share a very consistent sonic DNA. So here we go, the Bowie-Berlin era, containing at least four tracks from each of the big three, and to round the celebration out, additional 1977 cuts from the emerging electronic/experimental artists that were inspiring them at the time... Kraftwerk, Italy's Giorgio Moroder, France's Jean-Micael Jarre, Eno's old Roxy Music bandmate Bryan Ferry, and industrial music originalists Throbbing Gristle. Yes sir. It's time to skronk the f*** out! 1. Slug Bait - Live at Southampton - Throbbing Gristle: England's Throbbing Gristle is the one act on this mix that had no stylistic, personal, or spiritual connection to the acts and scene of Berlin, but from the standpoint of groundbreaking experimentalism, these noise rock pioneers absolutely belong here. Presenting harsh, jarring music devoid of any melodic or rhythmic convention, and amongst the most confrontational and offensive live bands of the era (rolling in soiled diapers and used tampons on stage was not beneath band leader Genisis P-Orridge), they appealed to virtually no one in their day, and their fanbase hasn't grown much since. 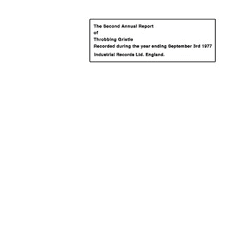 Despite that, over the years, their 1977 debut The Second Annual Report Of Throbbing Gristle has come to be viewed as one of the seminal and most influential early releases, or maybe even the first true release, of the industrial genre. 2. Sound And Vision - David Bowie: When Low was first released in January of 1977, it was such a stylistic departure from the sound of Bowie's popular Thin White Duke-era albums that it threw a portion of his fans and critical supporters for a loop (as well as Bowie's label and manager at the time, who fearing a death blow to the continuation of the big money paydays they'd enjoyed from Young Americans and Station To Station, sought to block Low's release). And while it did receive some laudatory reviews upon its release, many others did indeed hate it on first listen, reacting with revulsion to its turbulent, fragmentary, over-in-a-blink avant-pop first side, and the dark, slow, lumbering instrumental passages that informed side two. I still remember even a year later, when I picked up my first edition of the Rolling Stone record guide in 1978, that Low and Heroes were still regarded as mediocre efforts, both bequeathed just a measely three stars out of five rating. But based on the success of this side one single, Low gradually took hold in England, and began to win fans over, finishing as the second top-selling album of the year in the UK, and from there, the album's reputation has only grown to the venerated landmark status it holds today. 3. The Passenger - Iggy Pop: Lust For Life, Iggy's second release of 1977, was recorded with Bowie in just eight days after finishing their tour of The Idiot, and truth be told, they were ready to take a breather from electronic sounds. The result was something far more scruffy and immediate than the other albums of this period, not to mention the best album of Iggy's solo career. Still, while there's less of a Bowie feel to Lust For Life than The Idiot, his presence is still strong, even lyrically on this song, as Iggy (who still didn't have a driver's license) reflects upon the countless hours being driven around North America and Europe sitting shotgun in Bowie's car. 4. No One Receiving - Brian Eno: Coming off the adulatory (and completely deserved) critical praise to his 1975 album Another Green World, Eno wanted to make sure his fifth album Before And After Science felt different, and so, after laying down the tunes with an assortment of British and German musicians, including members of Can, Genesis, Fairport Convention, and King Crimson he adopted the Low/Heroes sequencing strategy, placing all his livelier art-pop tracks (Backwater, King's Lead Hat, album opener No One Receiving here) on side one, and all the prettier, bucolic tracks on side two. It was a strategy that worked, as Science is now considered nearly the equal of Eno's other three 70s pop albums, but it would be his last pop effort of the decade as his attention shifted towards ambient recordings and producing/playing with Bowie and the Talking Heads. 5. 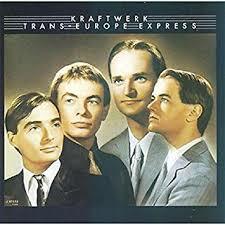 Trans Europe Express - Kraftwerk: This song is the title track to Kraftwerk's sixth release, an album now viewed, like several others represented on this mix, as one of the most important in electronic music history, and the record that completed Kraftwerk's transition from their start as instrumental Krautrock improvisers into the visionary minimalist electronic sequencers they are regarded as today. In keeping with the collaborative history of so many songs on this mix, David Bowie and Iggy Pop played a roll here, listening to the album with the band as it neared completion and offering lyrical suggestions. 6. Black Out - David Bowie: Black Out, though not among the best known of Bowie's songs, might be the skronkiest cut of this entire skronky era, and has always been a Heroes standout. 7. 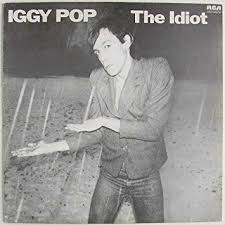 Sister Midnight - Iggy Pop: My favorite and the best known track from Iggy's first 1977 release The Idiot. 8. 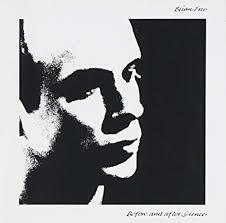 By This River - Brian Eno: This lovely track from side two of Before And After Science was actually a collaboration with German act Cluster, whom Eno had released an album of ambient tracks with earlier in 1977 that we'll be profiling later in this mix. 9. Oxygene, Pt. 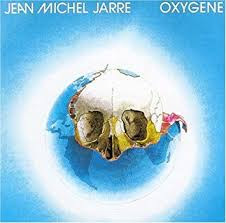 4 - Jean-Michel Jarre: While Oxygene was French composer Jarre's third album, many consider it his first, as it was his first release not intended as a soundtrack. Mostly recorded in a home studio, he was probably the first musician worldwide to make public his concerns about global warming, and this album, conceived around such environmental themes, would go on to become a huge success in France and the UK, and is now another record on this mix considered to be one of the most influential electronic album's of all-time, setting a template for the use of analog synth blips and bleeps that endures to this present day. 10. 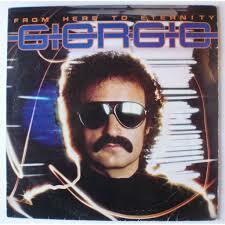 First Hand Experience In Second Hand Love - Giorgio Moroder: Though Moroder and the album from which this song came, From Here To Eternity, are most often associated with Disco (and we'll hear more from him when we get to our Disco mixes), it's clear on tracks like First Hand Experience, with its New Orderish vibe, that Moroder was as ahead of his time and clear on the directions electronic music would take as any of the key Krautrock bands. 11. 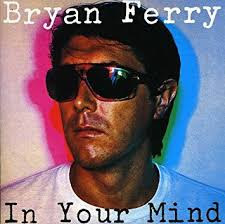 This Is Tomorrow - Bryan Ferry: This Is Tomorrow, a minor hit for Ferry, was the lead single from Ferry's fourth solo album In Your Mind, his first solo effort comprised entirely of original material. 12. 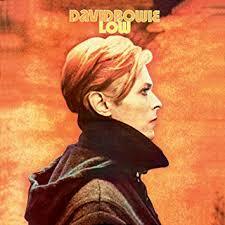 Be My Wife - David Bowie: Here's one of those speed-rush deep cuts from side one of Low. It was a tough call choosing between this track and Always Crashing In The Same Car for the final Low representative, but Be My Wife's higher energy punch won out. 13. Wehrmut - Cluster & Brian Eno: Cluster & Eno was the first of many collaborations between Eno and the longstanding German ambient act, and it was met with solid reviews at the time of its release. In particular, listeners loved how the artists punched up these sonic beds with just enough detail and melody so that while the tracks still functioned perfectly well as background music, the were tracks of background music you were compelled to actively process. The evocative, oh-so-gentle Wehrmut has always been my favorite from the album. 14. China Girl - Iggy Pop: The original recorded version of the David Bowie song that Bowie himself would slick up and imho improve upon on his 1983 release Modern Love, I toyed with giving this slot to The Idiot's equally cool tracks Dum Dum Boys or Nightclubbing instead, but ultimately decided on a mix with so many lesser known experimental tracks, the song more people would already be familiar with was the way to go. 15. Warszawa - David Bowie: Warszawa, the most highly regarded of Low's instrumental tracks, and the only instrumental track included on this mix from either Low or Heroes (sorry V-2 Schneider and Moss Garden), was really 90% Brain Eno's work, with most of its themes composed and recorded while Bowie was off in Paris attending court hearings against his former manager. 16. Here He Comes - Brian Eno: It's been written of Eno's lyrics that he often employs "a sound over sense" approach, and this charming song from Before And After Science, about a boy who dreams of floating up into the sky and transporting himself into a different time, is a textbook example. 17. 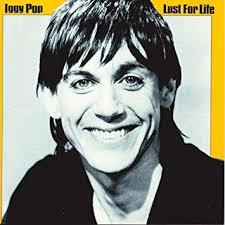 Success - Iggy Pop: Surprisingly, given the enduring popularity of its title track and The Passenger today, Success was Lust For Life the album's only single. 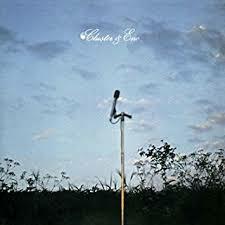 But it takes just one listen this awesome throwaway to understand the choice. Success is as fun as any solo track of Iggy's solo career. 18. The Secret Life Of Arabia - David Bowie: The Secret Life Of Arabia has to be one of the weirdest, goofiest songs of David Bowie's career, and when you're talking about David Bowie, that's saying something. 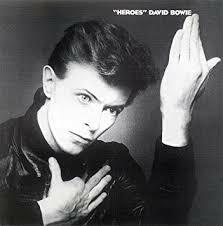 But this Heroes closer has always been amongst my all-time favorite Bowie deep cuts. There's just some inescapable je nais c'est quoi factor to it that I've can't shake, and I've known for years now that when I finally got around to making this Berlin-era mix, it would be concluding Bowie chapter. 19. Maggot Death - Live At Southhampton - Throbbing Gristle: One more very brief, creepy excerpt from The Second Annual Report Of Throbbing Gristle to wind things down.